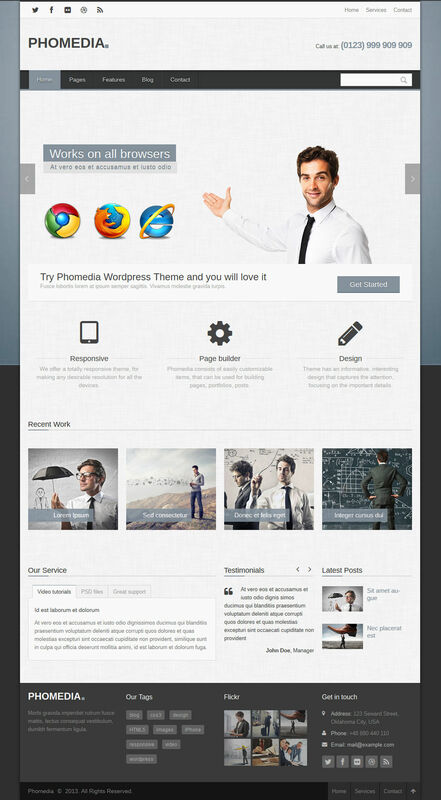 Phomedia is a very clean, responsive & super flexible multipurpose theme built to simplify your theme building experience. A huge number of effects are already inside. 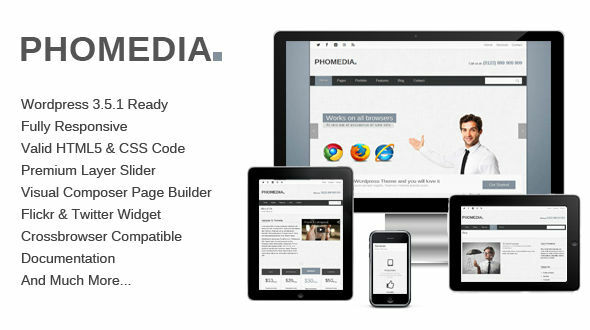 It is created using HTML5 and CSS3 coding. The 960 Grid System and the different page templates make it easy to create pages with almost any layout using the integrated custom shortcodes.